The Cabana Pool Bar: Poolside or beachside, enjoy freshly prepared salads and sandwiches, or sip frozen cocktails, from the Cabana Pool Bar. Located directly on Miami Beach, the resort is situated on more than seven hundred and fifty linear feet of pristine white sandy beach. 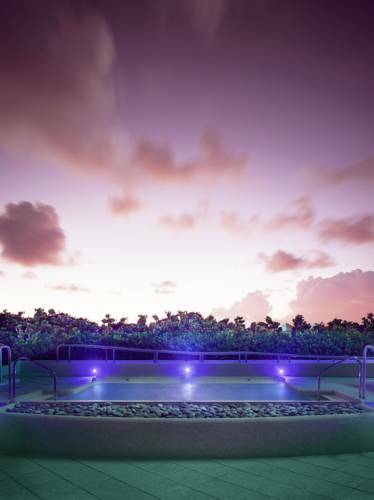 The Resort is just minutes from high end dining and shopping, including Lincoln Road Mall and Bal Harbour Shops. A wide boardwalk, perfect for strolling, running, and cycling, passes directly by the property and continues for miles. Carillon Miami is 25 min from Miami International Airport and 45 min from Fort Lauderdale Hollywood International Airport.